When you think of Easter, you probably think about spring chicks, chocolate bunnies, and sugary sweets. These are the images that most commonly bring the holiday to mind. It is a holiday that celebrates new beginnings, happiness, and our love for one another. One of the ways we show our love for our friends and family during this holiday is to gather and enjoy a meal. If you’re like most people, you want to impress your guests with a beautiful holiday-themed dessert. Easter cakes are a popular choice. Easter cakes are cakes that are decorated with the theme of the holiday. Typically, they are pastel colored and feature baby chickens, bunnies, or even religious symbols. Happy Easter! Enjoy a Sweet Treat with the Family for Us! For Christians, Easter is a celebration of God’s love for us that he sent his only son to die on the cross to save us from our sins. Easter celebrates the day in which Jesus rose from the dead after being crucified. While Easter is, at its base, a religious holiday, there are a number of non-Christians who also celebrate the holiday. It’s a fun holiday in which people can celebrate new life and a blossoming Spring in which the world “comes alive” again after the harsh winter. There are common themes found in the symbols we associate with Easter. Most of the symbols are associated with the joyous occasion of the Spring season. Below, we will discuss some of the most common symbols of Easter and their individual meanings for the holiday. Because the holiday centers so much on the sacrifice of the crucifixion, it is not uncommon to see the cross as a symbol of the holiday. The cross is symbolic of Jesus’s voluntary death from which he was resurrected, offering us eternal salvation. The origins of the Easter Bunny tradition have been lost to history. It is believed, however, that rabbits are used because they are an ancient symbol of new life and fertility, which are associated with the changing season. Easter Eggs are linked to a Pagan tradition. Pagans used to celebrate spring by having festivals in which they would use eggs as symbols of the season. Since then, however, Christians have claimed the tradition of Easter eggs to state that a chick springing from an egg is symbolic of Christ’s resurrection. Easter eggs are colored in bright colors to celebrate the color of Spring flowers. Easter is one of the biggest times of the year for candy sales. It is said that Easter candy is a current representation of the feasts that would be held on Easter Sunday after a weekend of fasting. Falling in with the tradition of Spring symbols and sweets, Easter Cakes have taken over as a growing part of the holiday tradition. Below, we will discuss some of our favorite popular Easter cake designs. Carrot cake is a great Easter tradition. It serves as a fun nod to the tradition of bunnies during the holiday and it can be spiced up and sweetened in a variety of ways that feel airy and fun and encourage a sense of home and togetherness. 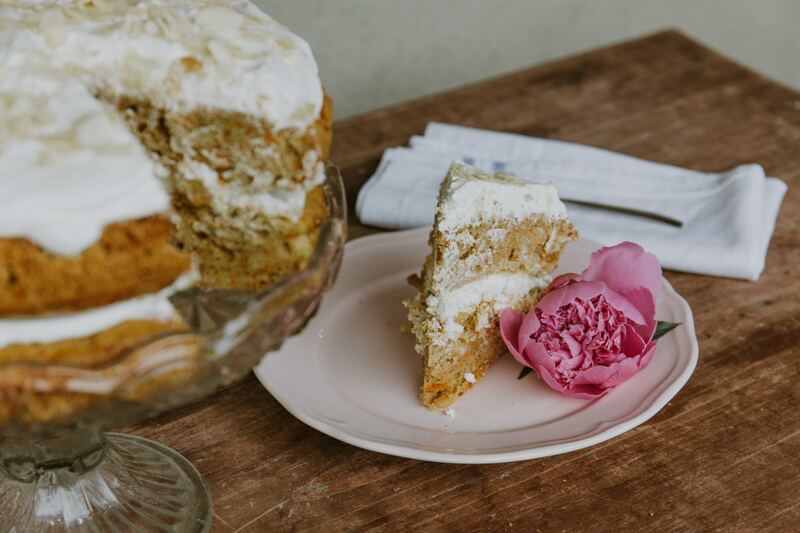 One of our favorite old-fashioned Easter cake recipes is that of carrot cake with pecan frosting. It’s probably the most classic cake for the holiday dating back to the turn of the century. Robin’s Eggs are one of those Easter candies that everyone looks forward to. The sweet, crunchy little egg candies can only be found during this one special time of year, so why not celebrate the holiday by letting them serve as many purposes as possible? A no-bake cheesecake with robin’s eggs mixed in gives the simple dessert an added sweetness and crunch that only the Easter holiday can offer. Peeps are one of those “love it or leave it” candies. You either look forward to them all year long or you wrinkle your nose at the mere sight of them. However, you feel about how they taste, though, you have to admit they’re pretty cute. You can jazz up any round cake by arranging peeps around the perimeter and using any other candy, food coloring, or sprinkles of your choosing to create the flower’s middle in between. Peeps are easy to pick off, so even your most peep-hating guest can handle this dessert without feeling left out. Lemon Chiffon cake is a colorful and fun dessert that can be enhanced for the Easter holiday by decorating the top with toasted coconuts arranged like a nest. You can use candy eggs or peeps to decorate the inside of the nest, creating a look that is beautiful and a taste to match. Pastel colors are a big hit for the Easter holiday, so why not color your dessert table with pastel green? Mint cupcakes with colored white chocolate frosting will result in a light-tasting dessert that is as colorful as it is delicious. 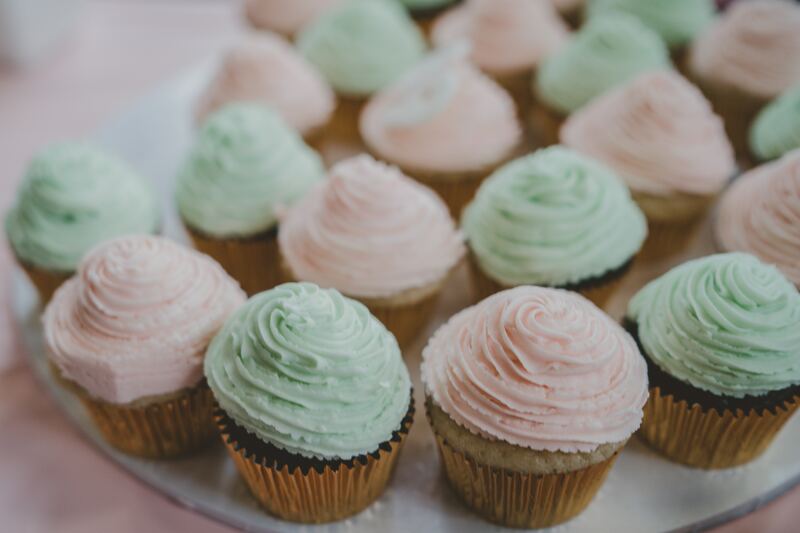 Your guests will also probably appreciate the mint flavoring of the cupcakes after a long day of partaking in more heavy flavors. Break open a few Cadbury eggs and mix them into your cheesecake batter for an extra flavorful boost to an otherwise tired recipe. 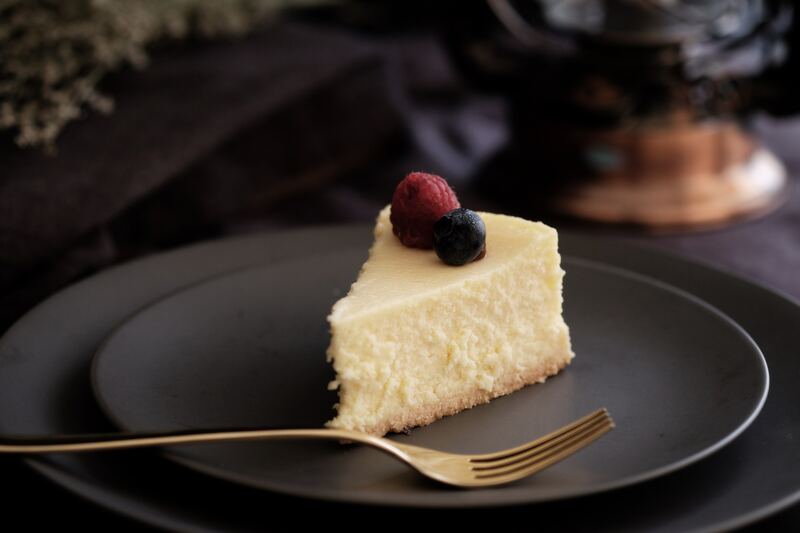 When the cheesecake is ready to present, break a couple more open on top and arrange them tastefully so your guests know what they are getting into. This will be a heavily sweet dessert, so serve it with something light, like a mildly flavored vanilla bean ice cream or a simple fruit salad. Mixing lemon truffle with blueberries will create another colorful and light-tasting dessert that will have your guests feeling like they’ve indulged themselves in something almost healthy. When people eat fruit, even in its most unhealthy forms, they tend to feel better about themselves. Serving plenty of fruit-based desserts at your Easter gathering will keep the mood lighthearted and jovial. It will also celebrate the sweetness of nature, which is coming back alive before your very eyes from a long winter’s rest. Marshmallows are the perfect ingredient to duplicate the fluffy appearance of lamb’s wool. Bake a chocolate or white cake and use marshmallows to design a lamb’s face right onto its surface. Decorator’s frosting can help you lay out the finer details like the eyes, nose, mouth, and the pink of the ears. This is an Easter cake that will appeal to the children at your gathering, because if there’s anything kids like more than marshmallows, it’s finding cute faces in their food. You’ll be the coolest grown up in the family tree. Bake a pineapple cake in a bunny shaped pan and use coconut to decorate the top. Coconut can be spread over chocolate or white frosting to look like a rabbit’s fur with marshmallows for the rabbits tail and pink candy and decorator’s frosting filling in other details. If you are feeling especially ambitious, build up the sides of your cake with pastel frosting, green dyed coconut for grass, or anything else your creative mind can come up with to make this cake even more Spring-y. This is a favorite cake design of many that has been around for decades. Bunny cake pans are common in most hobby or craft stores in the weeks leading up to the holiday. What screams “Spring” more than flowers? Grab a variety of Easter Candy while you’re shopping ingredients and use them to create colorful flowers across the surface of your cake. If you have a while and a ton of patience, you can even create decorative murals from the colors that the different sized candy pieces provide. Let your imagination run wild! This is a cake that can become a family event. Decorate a simple sheet cake with green icing with “rows” of thick icing. Hand out toothpick flags with a vegetable or fruit drawn on one side and the back side blank. As guests arrive at your gathering, have them express a simple happy wish for the new season by writing it on the back of their marker and then let them “plant” their marker in any of the cake’s rows. 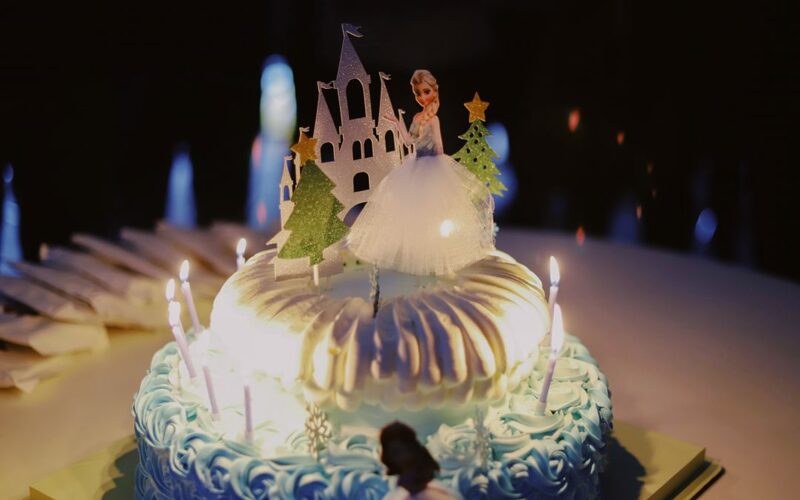 Your guests will have fun harvesting and reading their wishes around the table when the cake is cut and served. Color half of your white cake batter yellow. Use the remaining white cake batter to create cake balls that, once fully baked and cooled, will be dropped and submerged in the yellow cake batter, then baked again. When you cut into the cake, you’ll have white “petals” throughout your cake with yellow between them. This will look just like you’re cutting into a pile of Spring daisies. Ice cream cake is a great, cool and sweet treat to enjoy with your friends and family. M&M’s has always been good about releasing colorful candies to match any holiday or event, so use the colorful chocolate pieces to your advantage. M&Ms and ice cream pair well together and their simple pastel Easter coloring will create the perfect look for your Easter dessert spread. Arrange the colors however you want. They can be poured randomly over the top or the colors can be separated and used to create shapes or a mural. The only limit is your imagination and patience! When all else fails, a well-placed chocolate bunny can make any cake look like a joyous Easter celebration. Use him as a cake topper on any dessert for a cute added flair to your table. You can throw in a few robin’s eggs, peeps, or Cadbury eggs for good measure, also, if you wish. The key to a successful Easter gathering is to make sure everyone has fun and enjoys their time together. You’ll know better than anyone what your family likes and how to please them. We are certain that you will love any of the Easter cakes on this list at your next holiday gathering. We hope you found one that inspires your creativity, tickles your sweet tooth, and makes you excited to celebrate a new season with those you hold most dear.